So you say you’ve been everywhere in Europe and are keen to experience one of the continent’s lesser-known hidden gems? Malta is seriously trending right now, after spending the last few years climbing to the top of many travel to-do lists. The tiny island nation, located north of Tunisia and south of Sicily, is anything but new. Malta fascinates visitors with its rich ancient history (it’s home to the oldest freestanding structure on earth), quirky cuisine (you’ll fall in love with roasted rabbit), beautiful beaches, and the postcard-perfect architecture found in Valletta. Malta’s rise as a coveted Mediterranean holiday destination is thanks to the increase in budget flight services offered by carriers such as easyJet, RyanAir, and Air Malta (I flew direct from Krakow for just $70). It also doesn’t hurt that Malta is relatively affordable, allowing you to stretch your Euro farther here than you would in Santorini or Ibiza. Always on top of travel trends, DK Eyewitness Travel recently launched a newly revised, updated, and redesigned guide to Malta. 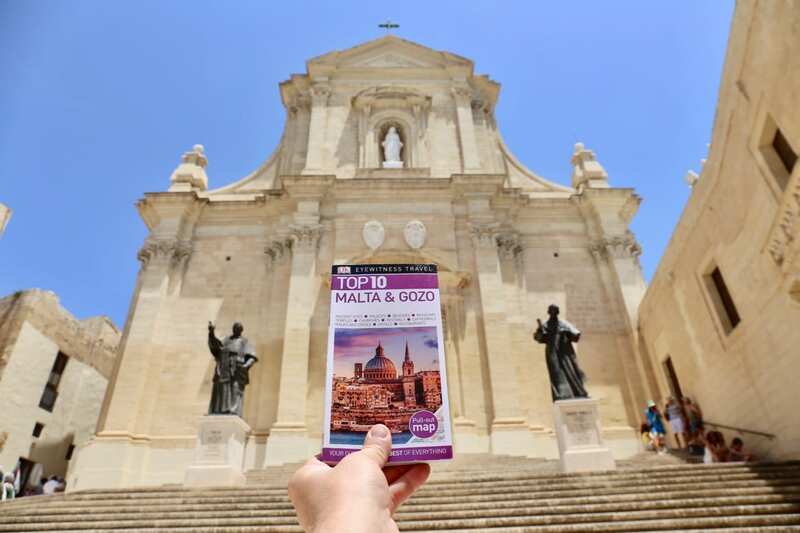 In preparation for my epic island adventure, I researched the destination months in advance using DK Eyewitness Travel Guide: Top 10 Malta & Gozo (DK Publishing, 2018). The informative, pocket-sized guide includes detailed itineraries and “don’t miss” destination highlights at a glance, illustrated cutaway 3-D drawings of important sights, and area maps marked with popular sights, top hotel and restaurant listings, as well as a slew of info on niche interests such as best spots to shop for local arts and crafts, areas of natural beauty, and culinary highlights so you’re up to speed on how to eat and drink like a local. If you’re looking to explore the ancient treasures of Malta and splash across its beautiful beaches, there’s no better place to lap up the luxury than at The Phoenicia. The lovely property is perfectly located, perched before the front entrance gates to the historic city of Valletta. 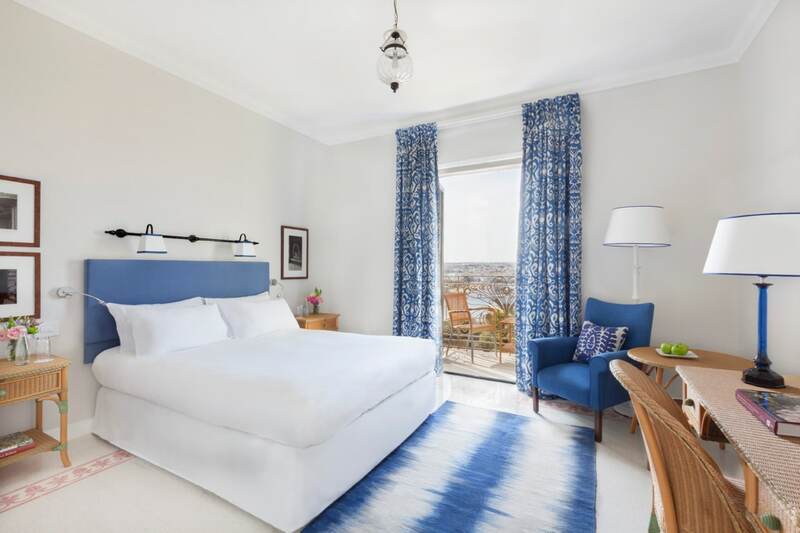 The property recently underwent an extensive renovation and now offers guests a classy contemporary vibe while still paying homage to the hotel’s historic heart. Following the reopening in April 2017, the hotel boasts redesigned rooms and suites, a new outdoor infinity pool overlooking the harbour, and a re-landscaping of the hotel’s grounds and terraces. The Grand Ballroom has also been refurbished and The Phoenicia’s classic facade was restored. The Grand Master’s Palace in Valletta was built between 1573 and 1578 by local architect Gerolamo Cassar. 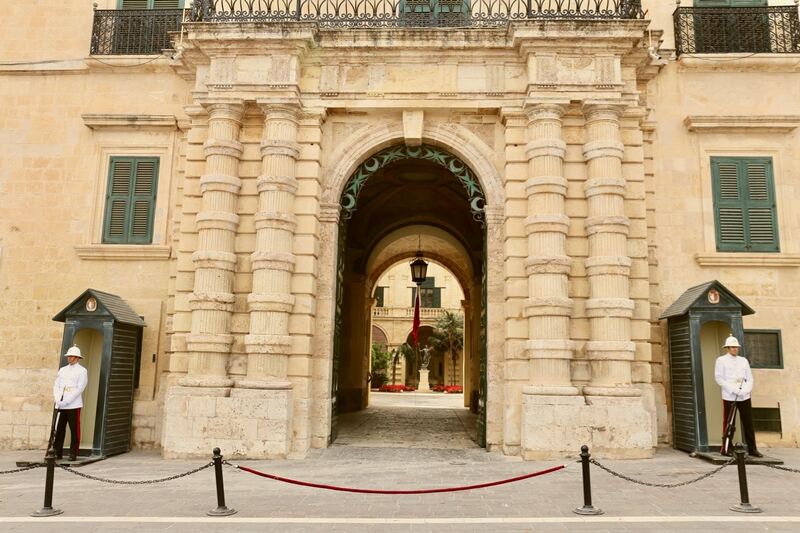 Today the handsome building acts as the office of the president, but for over 200 years it was home to Malta’s Grand Master, supreme head of the Order of the Knights of St. John. Before planning a visit, be sure to check with the tourist office as it is often closed for presidential duties. Inside you’ll find the luxurious Ambassador’s Room, elegant Tapestry Chamber, and Armoury featuring over 5000 pieces of military hardware. 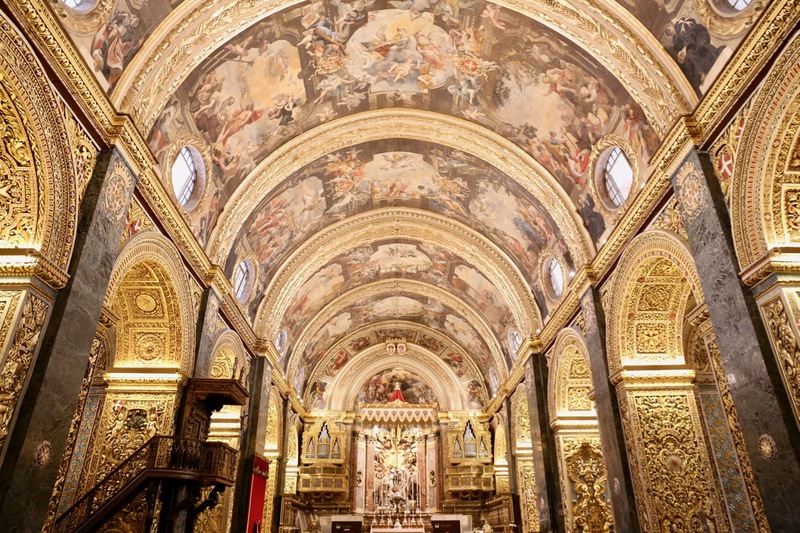 Valletta’s most celebrated site is the jaw-dropping St. John’s Co-Cathedral. Also designed by celebrated Maltese architect Gerolamo Cassar, St. John’s feels like a giant fortress. Step inside and your eyes will bulge at the cathedral’s opulent artistic glory. The marble floors are covered in inlaid tombstones, every inch of wall is intricately decorated with gold and garlands, and the iconic vaulted ceiling by Mattia Preti offers endless hours of amusement as angelic beings seem to wink hello before swooping into the heavens. Be sure not to miss the cathedral’s artistic treasure, The Beheading of St. John the Baptist, a stunning work by the Italian Master, Caravaggio. 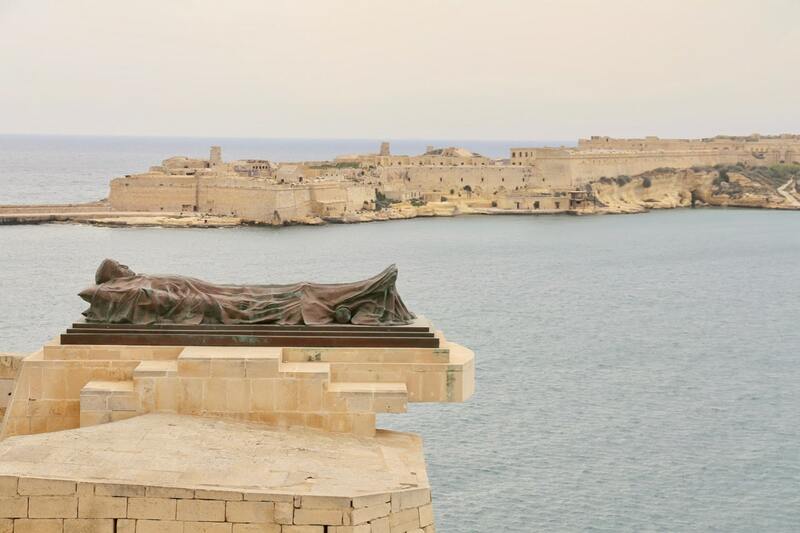 Located in Valletta next to Castille Palace, the Barrakka Gardens offer fantastic views over the Grand Harbour, and the cities of Senglea, Vittoriosa, and Kalkara. The gardens are located on the upper tier of St. Peter and Paul Bastion, which was built in the 1560s. The gardens were originally used to offer recreation to the knights of the Italian league of the Order of St. John, but were opened to the public following the end of the French occupation of Malta in 1800. Today in the park you’ll find several monuments and memorials as well as quiet park benches, which sit amongst frothing fountains and fragrant flowerbeds. 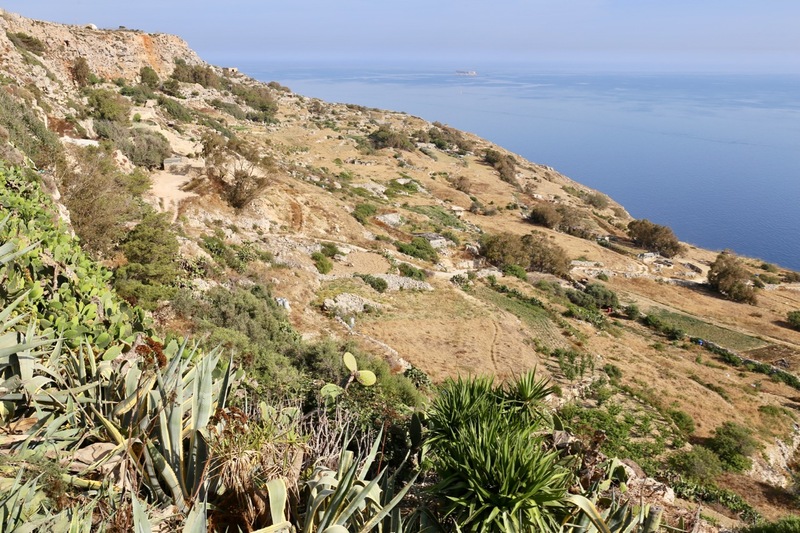 If you’re keen to enjoy a scenic hike, the island’s best trails can be found around Dingli Cliffs. Located on Malta’s western coast, Dingli Cliffs are the highest point of the Maltese Islands at 250 metres above sea level. Hikers here enjoy a slice of rural Maltese life, with views overlooking small terraced farm fields, the open sea, and Filfla, a small uninhabited island. A popular tourist sight in Dingli is the tiny chapel dedicated to St. Mary Magdalene, but locals come here mostly in the evening to stretch out on lawn chairs with a cold beer and watch the sunset splash across the horizon. 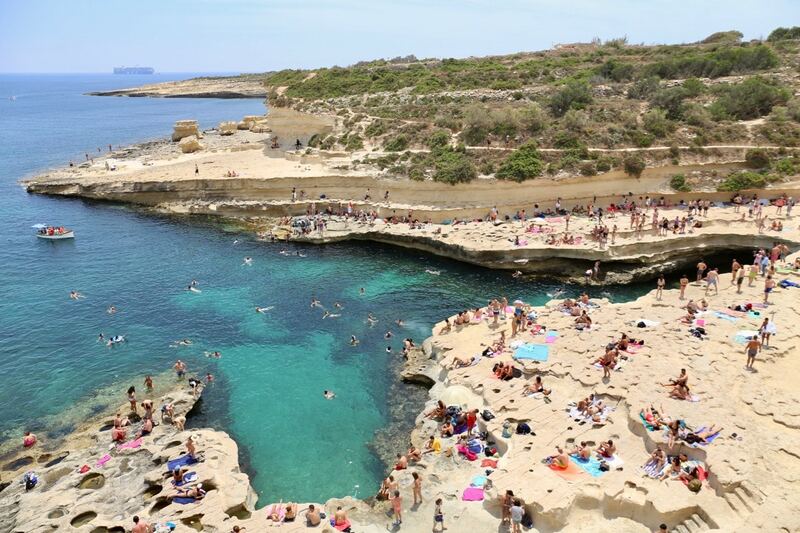 For those who enjoy a beach day, Malta’s most popular salt water swimming destination can be found at St. Peter’s Pool. Located on the tip of Delimara Point in the southwest of the island, St. Peter’s Pool gets packed on weekends with tourists keen to work on their tans. On a sunny day the sea is crystal clear, showing off an amazing azure colour, perfect for snorkelling. The flat rocks around St. Peter’s Pool provide an idyllic sunbathing area amongst ancient Roman salt flats. Make sure you bring whatever you need for a day at the beach as there are no facilities close by. History buffs will be pleasantly surprised by Malta’s fascinating ancient backstory. 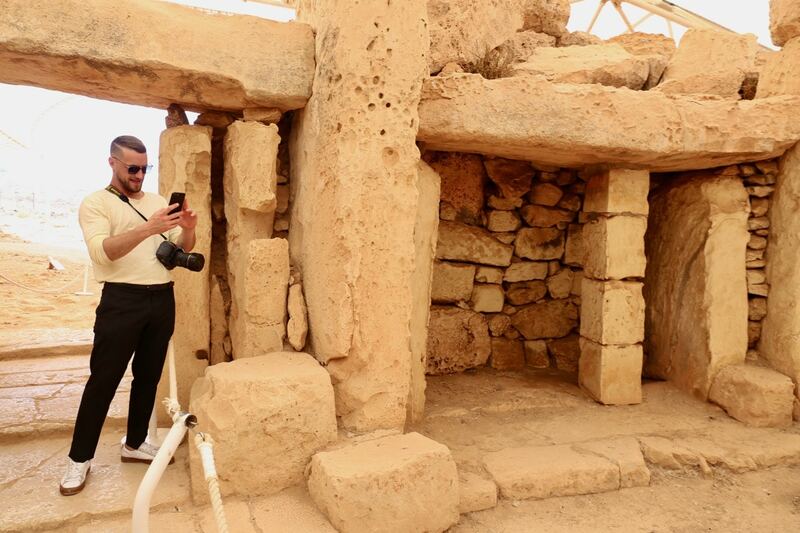 There’s no better spot to skip back in time than at Mnajdra and Hagar Qim Temples. 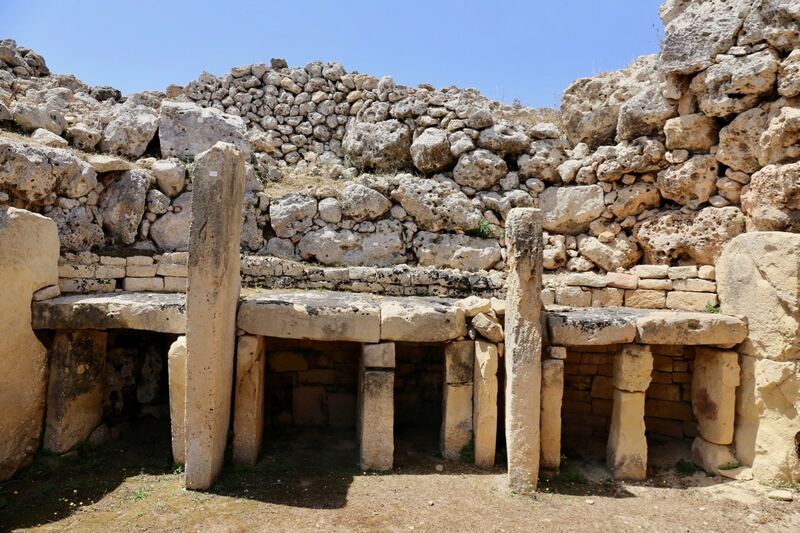 These ancient limestone temples were originally built between 3600 and 2500 BC, and are considered the best preserved of Malta’s UNESCO World Heritage Megalithic temples. The two temples are located a short stroll from each other, sitting by the ocean on a breezy hill filled with swaying wildflowers. Both temples are covered by protective awnings, offering guests a pause from the intense sun while exploring monumental doorways, internal rooms, steps, and altars. If you’re staying in Valletta, take a day trip to Mdina, a stunning medieval citadel located on Arab and Roman foundations. This was Malta’s capital until the construction of Valletta and remained a popular home for rich aristocratic families, many of which still own palaces here. 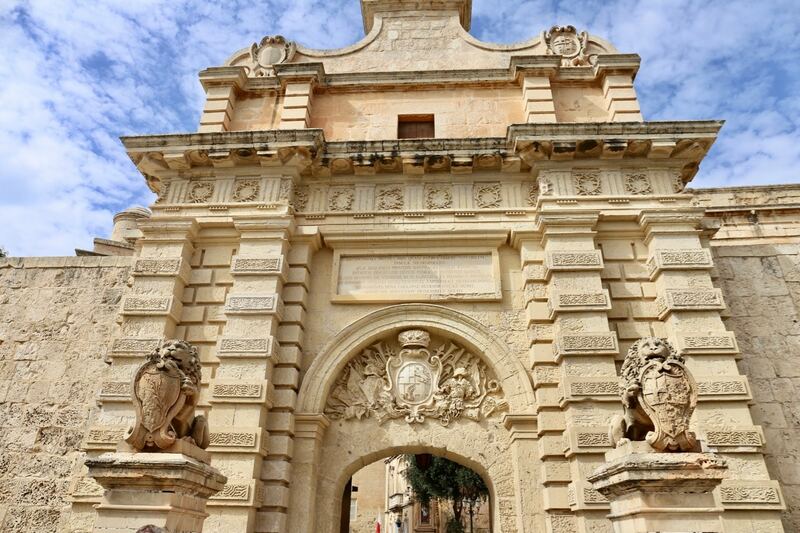 The best way to enjoy Mdina is to arrive with no plans. Grab a few scoops of gelato and quietly stroll through the old fortified city, gawking up at ancient architecture, the epic Baroque St. Paul’s Cathedral, and the opulent Palazzo Vilhena. 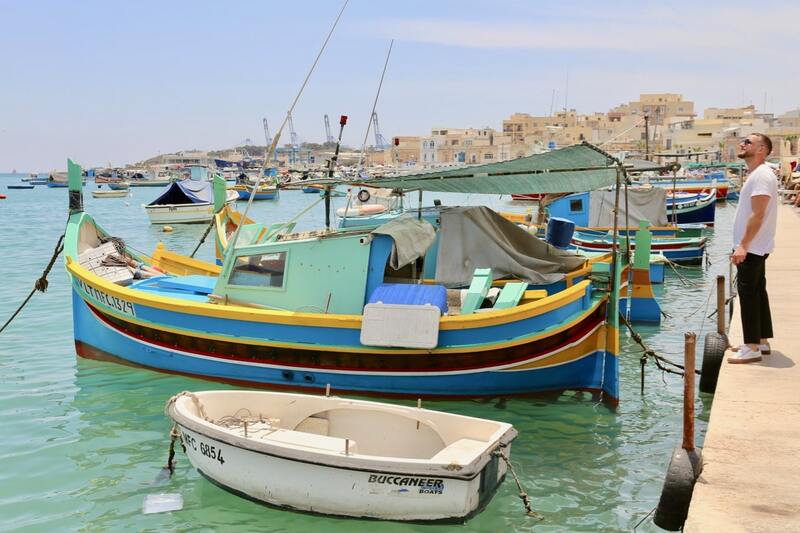 If you’re looking to capture the perfect Instagram-worthy snap of Malta’s iconic multi-coloured fishing boats, your best bet is to visit the tiny seaside village of Marsaxlokk. The enchanting fishing village fills to the brim with locals and tourists who come here to enjoy a leisurely brunch at the restaurants that line the waterfront (so be sure to book your restaurant reservation well in advance). Arrive on Sunday and you’ll also be treated to a stroll through the weekly Fish Market, where you can gawk at the slippery spoils of the deep blue sea. If massive crowds aren’t your thing, visit on a weekday to avoid the car honking and packed patios for a more quiet and relaxing experience. Although Malta’s population is relatively tiny, its year-round tourism appeal means the nightlife here is far livelier than you might expect. The island is also home to a friendly and colourful LGBT community, which loves to celebrate at Lollipop, the island’s most popular monthly queer party. The dance-tastic event takes place on the last Saturday of the month at Tiguillio nightclub and is hosted by local babes Kris Micallef and Keith St. John. 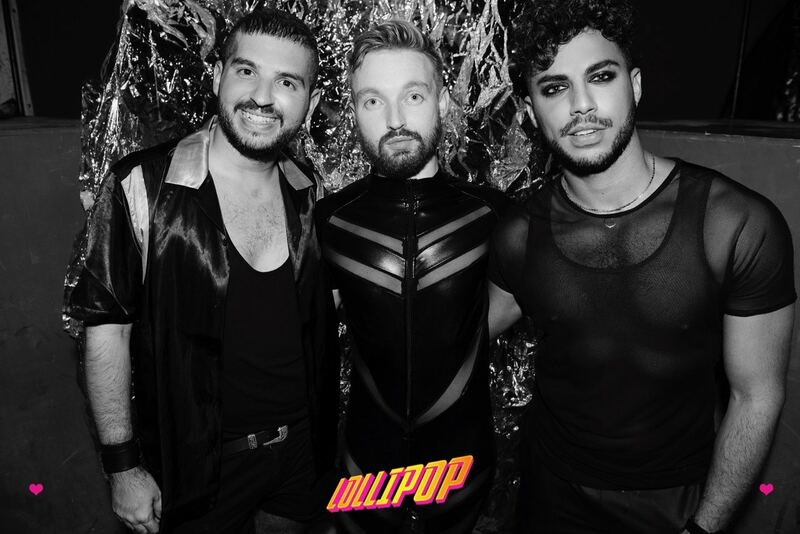 With guest DJs and fun themes to celebrate each month, Lollipop-goers expect a night full of camp glamour and glitter paired with the best pop and house music of the moment. Most tourists visiting Malta for the first time have zero clue what to expect from the culinary offerings. The cuisine you’ll find here reflects the nation’s history, showing strong Sicilian and English influences as well as Spanish, French, Maghrebin, and Provencal. Having to import most of its foodstuffs, being positioned along important trade routes, and having to cater to the resident foreign powers who ruled the islands caused Maltese cuisine to be influenced by other cultures over hundreds of years. Malta’s traditional dishes are not meant to be enjoyed in a fine dining room. Maltese classics are proudly peasant and provincial, featuring a robust selection of rabbit, the island’s favourite meat, which is best enjoyed as fenek, the national dish. If you’re road tripping around the island I suggest you stop for dinner in the tiny town of Mgarr. Locals I met raved about two restaurants here that are wildly popular and serve authentic dishes at reasonable prices. 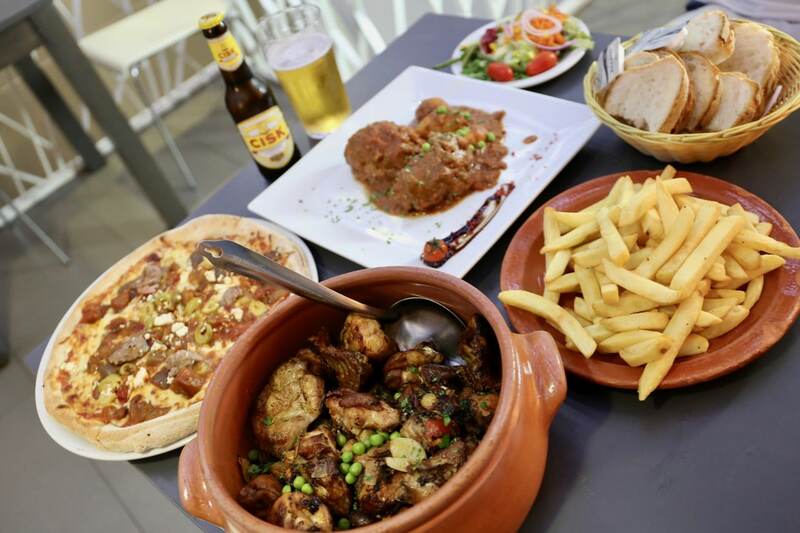 Il Barri or Farmers Bar are your best bets for a truly authentic Maltese feasting experience. It’s worth exploring beyond Malta’s main island and organizing a road trip of neighbouring Gozo. You’ll enjoy a scenic ferry ride to the nation’s second largest island, while passing the tiny isle of Comino (which is mostly known locally for its rabbit farms and excellent scuba and snorkel sites). For many years, the island of Gozo was raided by corsairs, Saracens, and Turks, who took the people into slavery. Life was so risky here that until 1673, locals were required by law to spend every night within the Citadel. Today it is Gozo’s star attraction (after enjoying a magnificent restoration), offering visitors panoramic views of the island, an ancient cathedral, and a handful of museums. 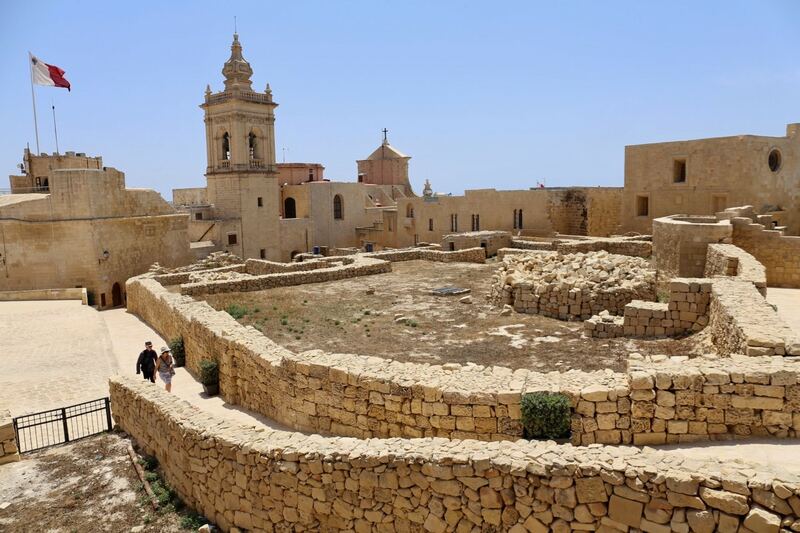 Gozo’s most popular ancient attraction is the Ggantija Temples, considered to be the oldest freestanding structures in the world (more ancient than the pyramids of Egypt and England’s Stonehenge). The megalithic temple complex dates back to the Neolithic period (3600–2500 BC), which makes them more than 5500 years old! The site was evacuated between 1816 and 1820, and today it’s a popular pilgrimage site for those who celebrate the goddess of fertility. Excavators have found the temples feature elements of a ceremonial site celebrating the fertility cult, including tiny carved figurines of curvaceous, child-bearing women. On the north coast of Gozo, past Qbajjar Bay, you’ll find the Xwejni Salt Flats, a chequerboard of rock-cut salt pans that hug the sea. 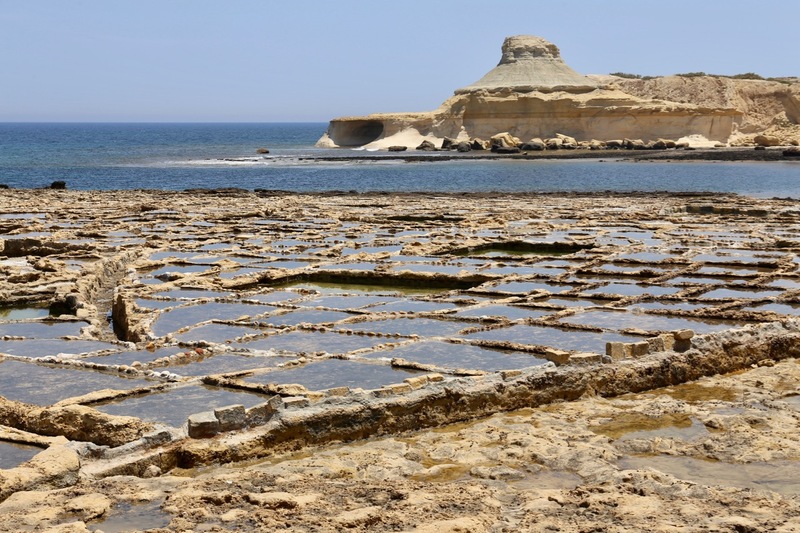 These 350-year-old Roman salt pans, which stretch 3 kilometres along the coast, are part of a centuries-old Gozitan tradition of producing salt. During the summer months, locals can be found scraping fine salt crystals, which once collected are stored and processed in nearby caves. If you’ve got a foodie in the family, you’ll definitely want to purchase a bag of the island’s sea salt as it’s one of the last remaining places on earth that produces the natural product by hand. If you were to look through promotional brochures for Gozo over the last ten years, you’d constantly come across pictures of the island’s famous Azure Window. 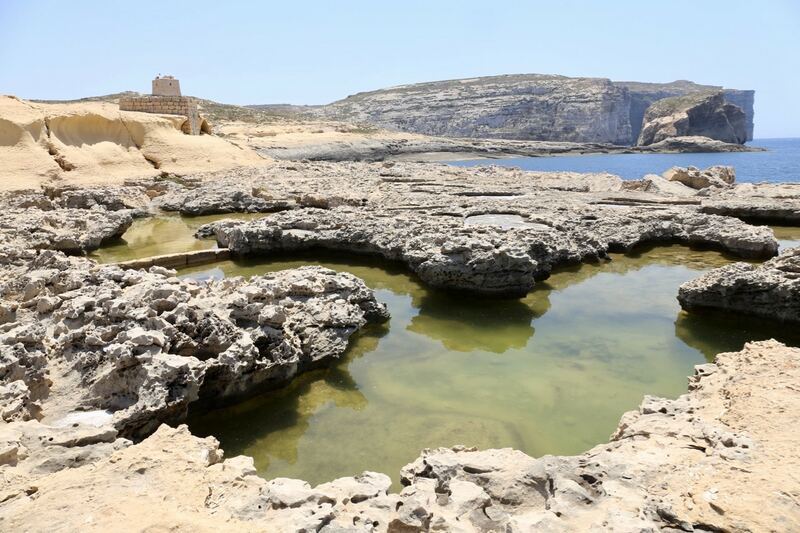 The natural rock formation was one of Gozo’s biggest draws, but in 2017 during a storm it was sadly lost and exists no more. Locals I met during my visit explained that the disappearance of the Azure Window was on the national news for over a week… that’s how important it was to Malta’s national identity (I suppose if Niagara Falls dried up we’d all be in shock here too). While the Azure Window is no longer available to peek through, its home in Dwejra Bay still offers plenty to see and do. Take a stroll around the rocky beach and you’ll find scuba divers in wetsuits and sweaty tourists licking up towers of ice cream. Dwejra Bay’s most interesting anecdote is the Fungus Rock, which gets its name from a rare plant, Cynomorium coccineum, that still grows there. The Knights apparently prized the plant so much that anyone caught stealing it was sentenced to three years in jail.